Born in 1910 in Pabna, in present-day Bangladesh, Radha Charan Bagchi graduated from the College of Art & Craft, Calcutta in traditional Indian art, oil painting and Western academism. Abanindranath Tagore, Mukul Dey and other Bengal masters were his major influences, and Bagchi evolved his own artistic style as an artist. 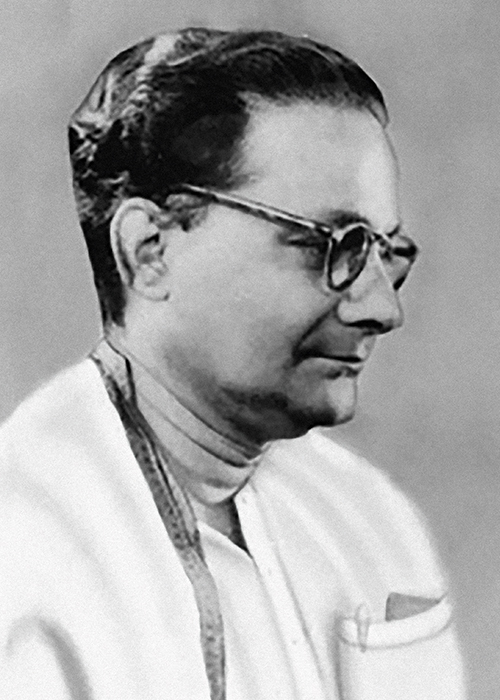 In 1951, he joined Kala Bhavana, Santiniketan as teacher, officiating twice as its principal. Bagchi enjoyed working in both tempera and oil, switching from one to the other with equal ease; and also worked with the graphic mediums of dry-point, etching, lithography and linocut. 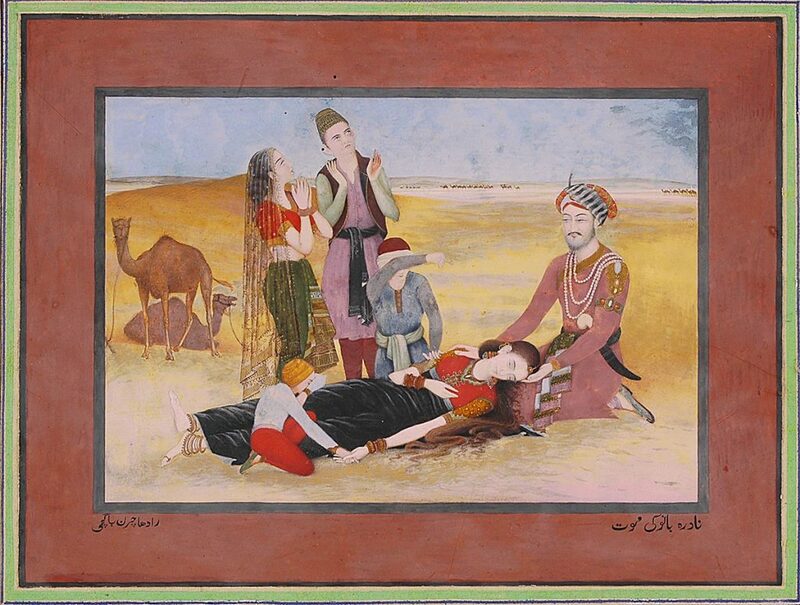 Known for his miniatures, Bagchi’s paintings of the fall of the Mughal Empire depict its pathos. 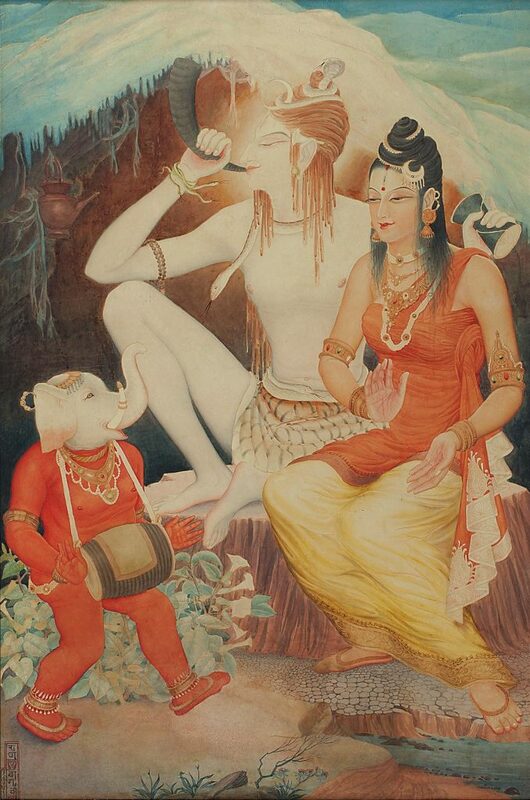 Hindu and Buddhist mythology featured prominently in his works, and he illustrated the Hindu epics Ramayana and Mahabharata, and the Buddhist Jataka tales in miniature tradition. He also painted episodes from the works of poet Kalidasa including Kumarasambhava, Meghadootam and Abhigyan Shakuntalam, portraying the characters in a lively, lyrical manner. 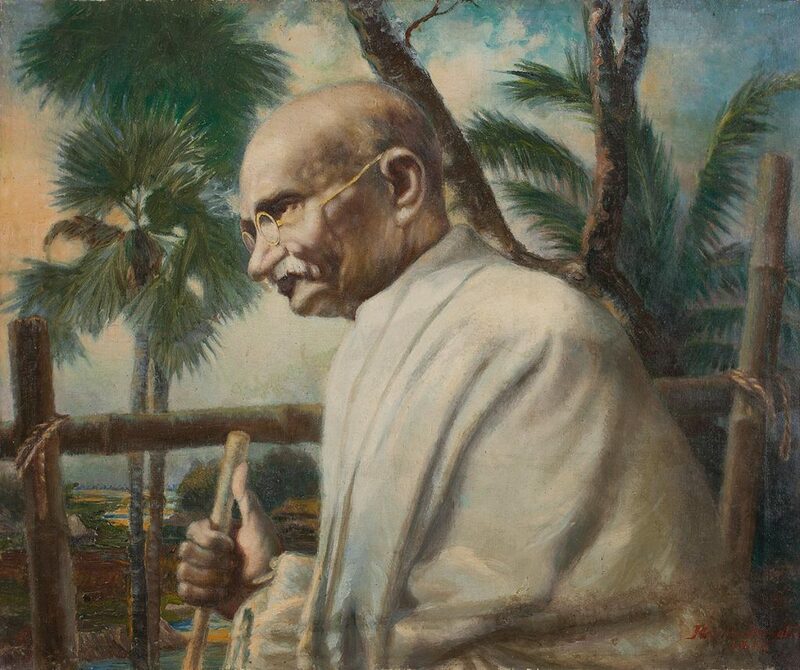 Bagchi also did numerous oil portraits in which he applied Western concepts and techniques, though a strong Indian sensibility comes through in them. He received several awards in his career, among them, the President’s Medal for best exhibitor’s prize at the College of Art & Craft, Calcutta, All India Exhibition of Paintings, Madras in 1958, and the first prize for the scroll painting Abhigyan Shakuntalam on Assamese Muga silk. He was commissioned by Visva Bharati, Santiniketan to paint a life size oil of Rabindranath Tagore and his family in 1961.